There’s a fine line between daily casual wear and subtle party wear, both of which can be achieved through a plain salwar suit or a mix-match combination that can be created through the single pieces available! 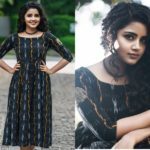 If you’re looking to stand out of the crowd and showcase your unique styling quotient, creating your own salwar suit combination is the best way to achieve that. To give you a helping hand, here are some tips on how you should keep in mind before you invest in a design that would look best on you. Pick out a suit, while questioning these important point as you move toward the trial room. Starting from the first and foremost style, choose a neckline that flaunts your neck and your shoulders. 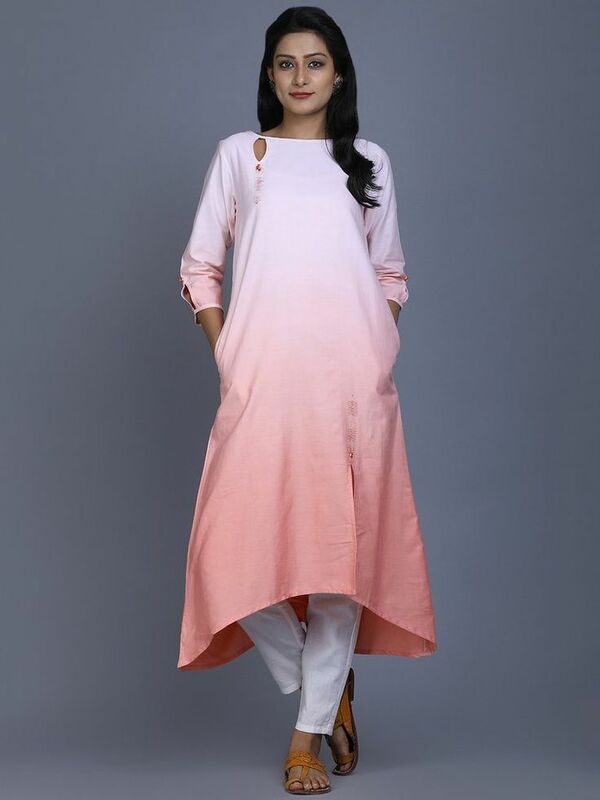 If you possess broad shoulders, choose to pick up a V-neck kurta than a closed one and if you have a long neck, you can even pick out a high neck that shall highlight your upper half. To choose a mandarin neckline kurta, keep in mind to check the fitting on your torso as the whole look shall depend on it! With the changing styles and seasons of preferred sleeve length, this year has brought us the 3/4th sleeve which possess all the qualities of looking chic. If you’re wondering whether it shall work for an occasional wear, pick up a kurta that has embellished around the edges that shall keep the focus on your dainty hands. If you’re going to be a part of a winter wedding, you may prefer to go for a churidar full sleeve that adds certain femininity to your hands or if you’re feeling brave, pose a sleeveless that shall definitely stand out of the crowd. If you’re looking for a fashion forward style on the crowd, pick up a plain suit which has a back-neck design instead of a front one. A unique composition of colour blocking and pattern that shall definitely make you stand out of the crowd, pick up a kurta which is embellished or has a certain back silhouette that would require a front hair look and you’re good to go for that ethnic day attire! With the increasing variety in dupattas, it’s hardly a surprise that you can create your very own blend of colours for any ensemble! 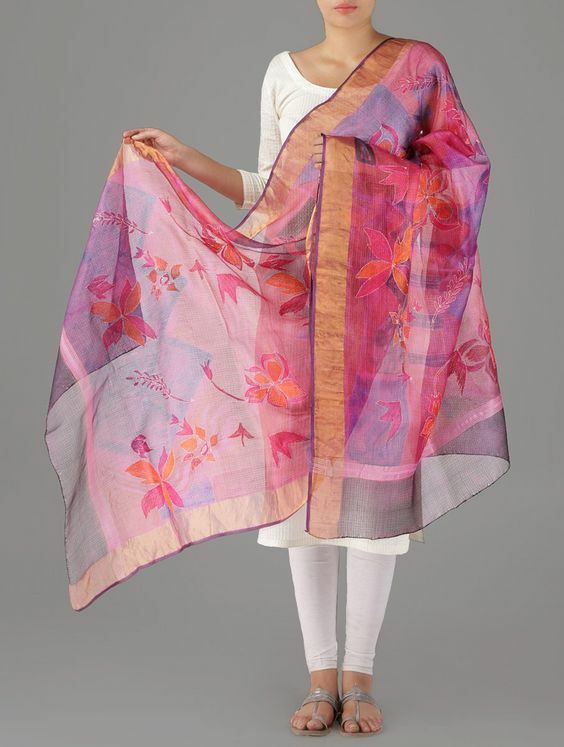 If you’d like the dupatta to be the hero of your outfit, pick up a piece that has a contrasting shade or print that would make your salwar suit look even more appealing. You can choose to pick up a contrasting colour or even one belonging to the same colour family as your suit, it’s all depending on your preference! If you are looking for a piece that is extraordinary and leaves eyes turning in your direction, try an ombre shade suits that would slowly descend into different shades. 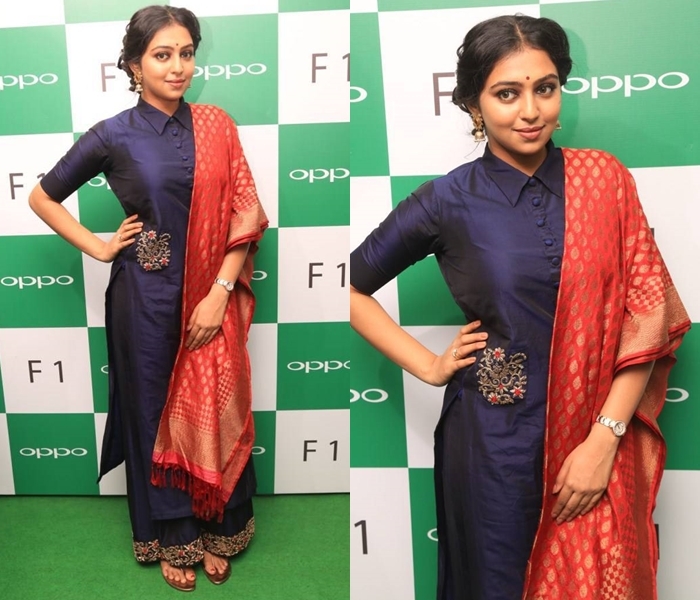 Creating a flowy look, it’s important to select the right fall of the piece as it looks the best in anarkalis or even long flowy kurtas. 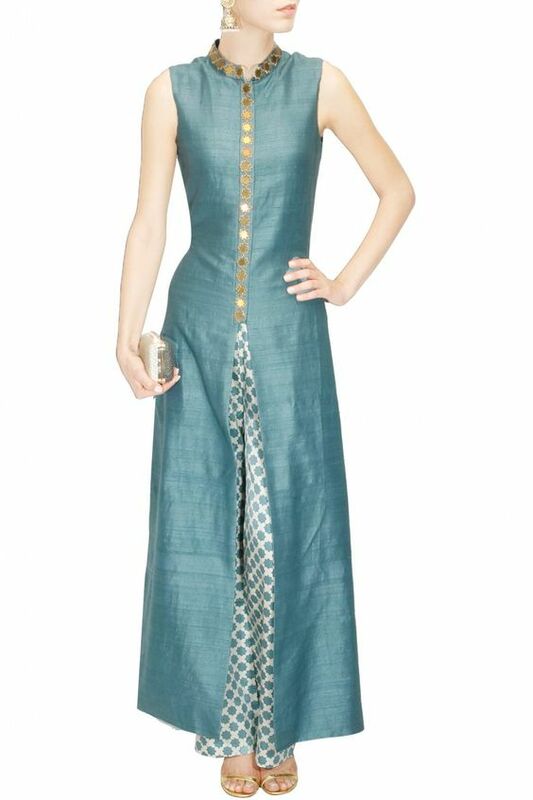 Create a combination of a neutral salwar and let your plain suit do all the talking! As the kurta remains to be a plain one, it’s not necessary to create monochrome attire, but instead throw in some bright shades or designs that shall become the highlight. Combine small prints in sync with your kurta or even your dupatta, or develop a colour block by adding a splash of colour through a patterned salwar. With the increasing variety of salwars available in the market, we have the trend of palazzo pants this season. Created in several flared options, you can have your pick from the crowd. Although, you can pick out the evergreen designs of salwars and churidars, a palazzo pants matches perfectly with slit kurtas and long kurtas that are trending this season. If you’re looking to highlight your legs, you can pick out an embroidered churidar that shall accentuate your legs when combined with heels. 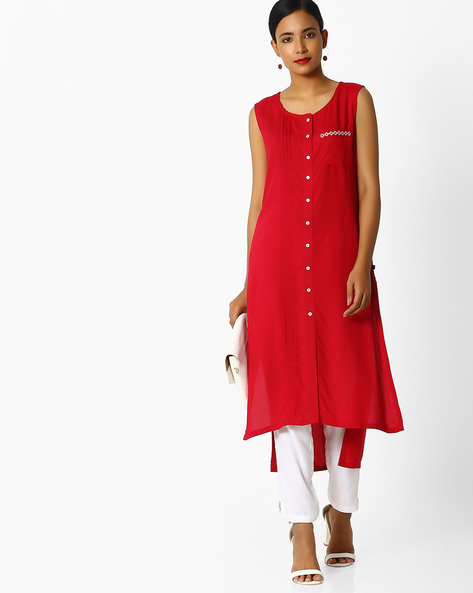 With the increasing number of variations in designs, the latest fad has been about the slits in the kurta. The two side slits, which were originally created for ease in movement have now been moved to varying areas to infuse dramatic effects. 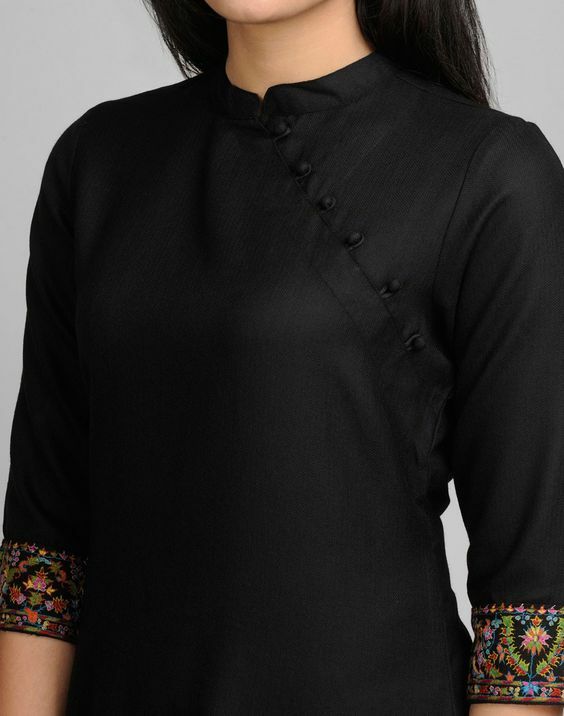 In case of a mandarin kurta design, creating a button-down effect, the partition can be seen even in the center, creating a total of three slits. 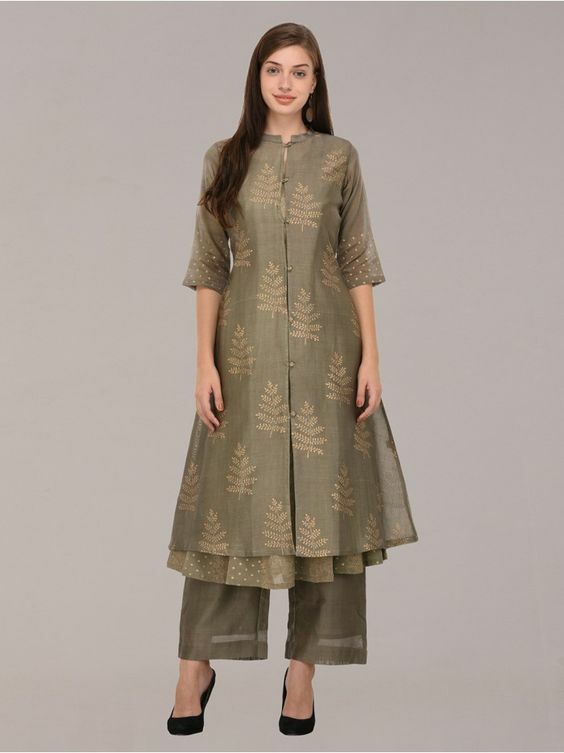 A major point to remember is to combine palazzo or straight pants with the center partitioned kurtas as the fall would create a graceful effect. 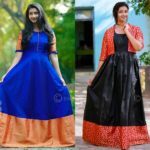 Some kurtas are also available in panel designs which should be combined with skirts or lehengas, which also helps in creating an even fall for the garment. Among other trends, another one to account for is of the asymmetrical hem. 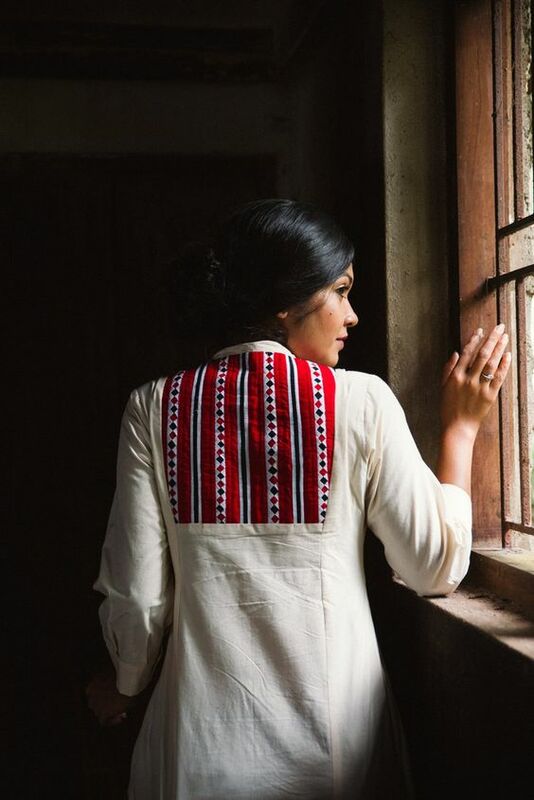 From a high-low range to a curve to even a diagonal length one, these contemporary designs are evoking the idea of dressing up in our traditional attire not only for occasions or festivals but do so on a casual basis as well. Most of these silhouettes go well with straight pants or even churidar ones that let’s the kurta be the center of attention. If you’re looking for a trendy casual design, this shall prove to be a go-getter! From floor grazing lengths to mid-thigh length, there’s a whole range of plain suits which are available to choose from. Picking the right length for the right occasion is an important task because it’s all about being graceful in the end! So, pick out a knee-length or a longer kurta for that festival or celebration in the family in a straight fit or even an anarkali one depending on the feature you’d like to focus on. Short kurtas, which continue to remain a part of the contemporary collection, should be picked out for more casual days, where you can combine it with a stole and pass it as a traditional outfit! 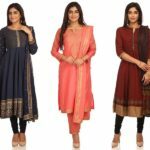 These are the top 10 features that you should look into once you go out shopping for a plain salwar suit, though the most important factor remains the occasion for which it is required for. Though some of the subtle embellished pieces can be passed on as casual wear but loses its charm once worn on a daily basis. Hence, think through and pick up a suit that shall not only perfectly fit the occasion but also highlight some of your best features! 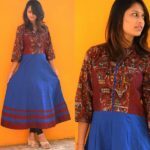 Bored Of Churidhar Neck Designs? Check This Piping Works! Beautiful Blog! the designs are new and unique, the best one is Red and Black. Unique composition of colour blocking and pattern that shall definitely make you stand out of the crowd.